Getting your kids to do what you want is a challenge, but getting kids to eat what you want often feels impossible. But if you want to instill healthy habits you need to encourage a love of nutritious foods from a young age. In other words, your kids should be eating more wild seafood. Alaskan salmon is one of the healthiest, most nutrient-rich foods out there. 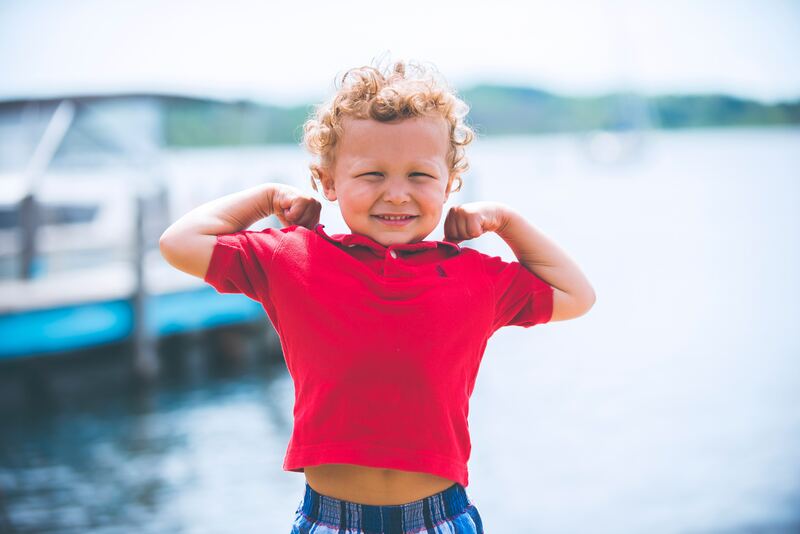 And while bulking up on nutrients is important at any age, it’s especially crucial for young children who are still developing at a rapid pace. Experts agree that early development is a crucial part of ensuring a healthy lifetime. According to Claire McCarthy, MD for Harvard Health Publishing, “the ways that the brain develops during pregnancy and during the first two years of life are like scaffolding: they literally define how the brain will work for the rest of a person’s life.” Meaning that the way that a person’s nerves grow and develop when he or she is just a baby are permanent and cannot be undone, and they will impact how that individual behaves and thinks even as an adult . We know that as a parent you’ve probably heard about the potential risks and toxic side effects of consuming too much mercury, especially for young kids. But that’s what makes wild salmon the perfect choice for children of all ages — it is low in mercury and high in omega-3 essential fatty acids, the essential nutrient that supports brain development. Plus wild salmon is high in protein, as well as iron, calcium and zinc, just to name a few. If you haven’t been serving your little one healthy dishes and sufficient seafood portions don’t fret, it’s not too late. You can always encourage healthy habits and change up your food routine; remember kids are flexible and they’ll adjust their habits if you do. Start with baby steps. If you think that a grilled filet of fish isn’t going to go over well with your offspring, then begin with dishes that have salmon as a hidden ingredient or a small portion of the overall flavor. There are tons of options when it comes to preparing salmon, and many of them are incredible kid friendly. Anything mashed and fried is hard to hate. These salmon fritters are packed with protein and can be heart healthy if you use olive oil or flaxseed oil, and they’re a kid-friendly way to serve more fish. Kids love chicken fingers and fish sticks, it’s just the way it is. But you can make fresh (not frozen), healthy fish sticks using wild salmon and whole-wheat breadcrumbs. What’s better than protein for breakfast? Double protein to jumpstart the day. Scrambled eggs with salmon are easy to whip up and a perfect way to incorporate more seafood in your kids diet, starting with the very first meal of the day. Fried rice is great with younger kids because it is easy to eat with your hands or a spoon and the small bites are safe to consume and digest. Plus small pieces of salmon get a little lost in the rice and veggies, which is perfect for kids who *think* they don’t like salmon or refuse to eat it. These salmon tacos are healthy, simple, easy to make, and a great way to encourage kids to bulk up on their seafood intake in a fun and delicious way. If your kids don’t like cabbage you can skip the slaw, and if they don’t like spicy you can tone down the seasoning. Creamy chowder is so delicious and indulgent that your kids won’t even ask what is in it. The creamy base is the star, with chunks of fresh salmon sneaking in to add some texture, flavor and a lot of protein and nutrients. You can cut up the salmon as small as you want to based on your children’s age, and adjust the veggie ingredients to your taste.